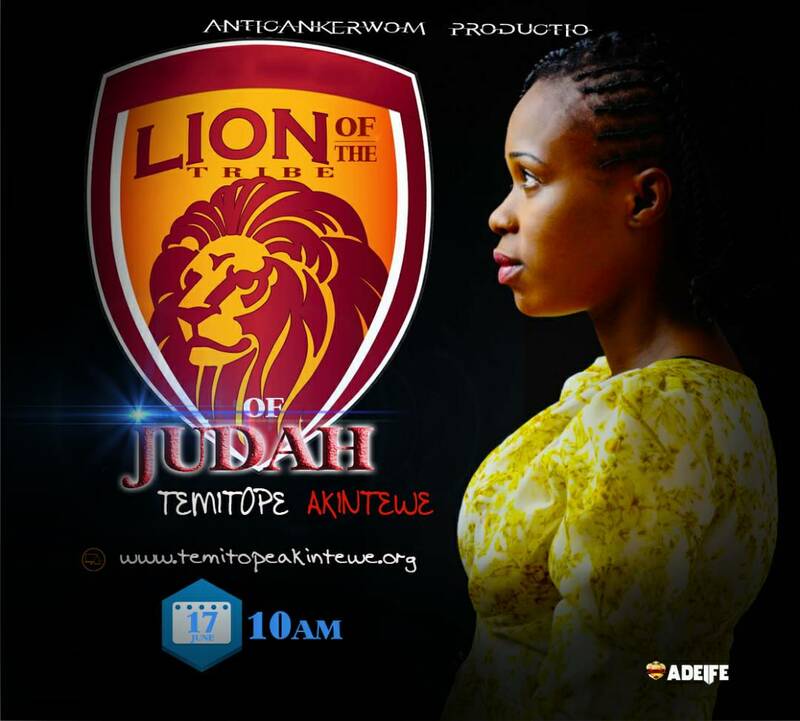 Lion of the Tribe of Judah is Temitope Akintewe’s first single. The song speaks on the characteristics of God and Him revealing himself in different spheres of our lives. Intricately arranged and delivered in the American crunk music genre. Temitope is well known for her lyrical prowess, she is able to build words that the mind can identify with, hence all that is vivdly reflected in the song "Lion Of The Tribe Of Judah". "Jesus is the image of the invisible God,the firstborn of every creature". "3 Who being the brightness of his glory, and the express image of his person, and upholding all things by the word of his power, when he had by himself purged our sins, sat down on the right hand of the Majesty on high"
We find God's wonderful acts described and His awesome ways distinctly projected. This is a song that should/would do a genuine work of conviction for the unbeliever to believe, and for the believer to come to a place of identification with Christ. Which will in turn birth True and spiritual worship of The Father.